Rafael Nadal has been endorsing the Nike Lunar Ballistec shoe for years but according to Nike he’s now switching to the new Nike Zoom Cage 3. Is he really though? Nadal is having a great season so far with his 15th Grand Slam and tenth Roland Garros title, alongside two Masters series titles (on clay of course). Wimbledon wasn’t as great a success, but he’s now gearing up for the US hard court season, which is usually his least favourite time in the tennis calendar. But with Djokovic injured, Murray in poor form and a healthy Rafa, he will always be a contender for the title. 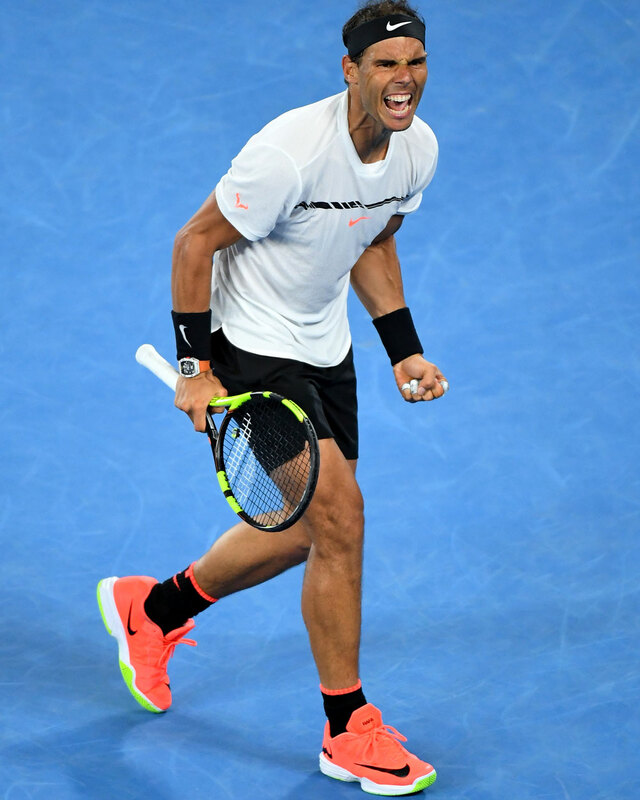 Nadal has tried new racquets earlier this year (rumoured to be the HEAD MxG 3 – read the review here) but decided to stick with his trusted Babolat Aero Pro Drive Original (painted as the Babolat Pure Aero ). Is he also shopping around for new shoes? 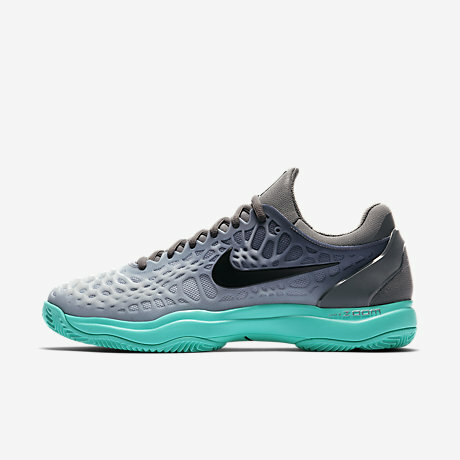 Apparently Nike is stopping production of the Lunar Ballistec line and that’s why Nadal will instead be endorsing the Nike Zoom Cage 3 pictured below. But what shoe is Nadal really wearing? Many say it is actually the Nike Court Ballistec 4.3 , but I’m pretty sure Rafa is using a custom shoe incorporating the base of the Nike Court Ballistec but with some custom features to better fit Rafa’s feet and taste. But it is not a shoe that Nike has wanted to push with Nadal for some reason and so he’s been endorsing a different shoe – much like how it works with pro stock tennis racquets and paint jobs. 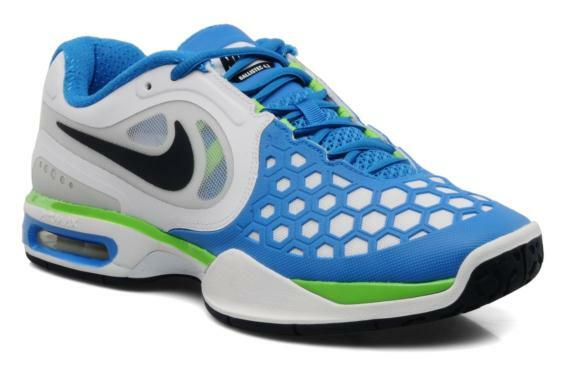 And now it seems time for Nadal not to switch the shoe is actually using, but the shoe he is endorsing to the Nike Zoom Cage 3 (Del Potro is by the way using the Nike Zoom Cage 2 ). Below you have a picture of the Nike Court Ballistec 4.3 . Confshoesed? I don’t blame you. I just noticed this post when searching for info on Rafa’s new kicks. 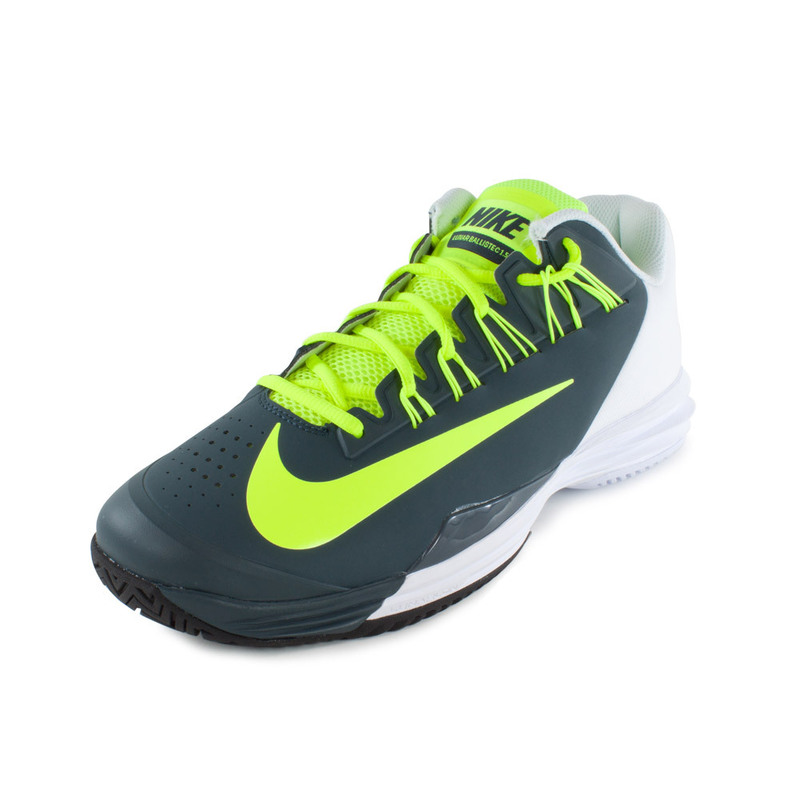 According to Tennis Warehouse, the Lunar Ballistec has been discontinued. The upper on the shoe he’s wearing at the 2018 Australian Open looks like the new Cage, but the outsole seems to be a Ballistec shape. There seems to be a carbon shank between the fore and rear. I’d be very surprised if he’s not wearing a signature shoe again soon enough. The use of unique shoes by Nike tennis stars has other interesting examples. If you checked out Del Potro’s feet, until recently he was wearing long-discontinued Zoom Cages, always matched to whatever their current seasonal color themes happened to be. He was literally the only person with those. And the most egregious example, until only last year, was Serena’s high-top shoe. She wore those for nearly two years before they were made available to the public. Anyway, interesting observations. Nice to know there’s another tennis nerd out there. Thanks for this detailed comment. If you ever want to write a post about these tennis shoes, let me know. We could do with more content about the shoe “paint jobs”. Yes, the same thing that goes on with paint jobs when it comes to racquets happens with tennis shoes for the top players. They use older or custom shoes painted as a new line. Federer doesn’t change shoes every time Nike releases a new line either, obviously. The sports companies really need to emphasize “endorses” in their marketing. Otherwise they will piss customers off who, for some reason, wants to use exactly the same shoe, racquet and apparel of their sports heroes.